The deadline to apply for Kellogg Community College’s 2019-20 Radiography Program cohort is May 20. KCC’s Radiography Program is a two-year, full-time program that leads successful graduates to an Associate in Applied Science degree in Radiography and eligibility to take the national certification examination of the American Registry of Radiologic Technologists (ARRT). Radiographers (also called radiologic technologists) are professionals specially trained to administer X-rays, making digital images of internal bones, organs and tissues that can help in the diagnosis of various health-related issues. KCC’s program – which is fully accredited and approved by the Joint Review Committee on Educational Programs in Radiologic Technology – consists of four academic semesters and two summer sessions, all of which include extensive clinical experience in addition to online and traditional classroom lectures. Additionally, KCC’s on-campus Radiography Lab utilizes the latest radiography technology in the industry, providing students with a simulated real-world environment in which to practice skills. 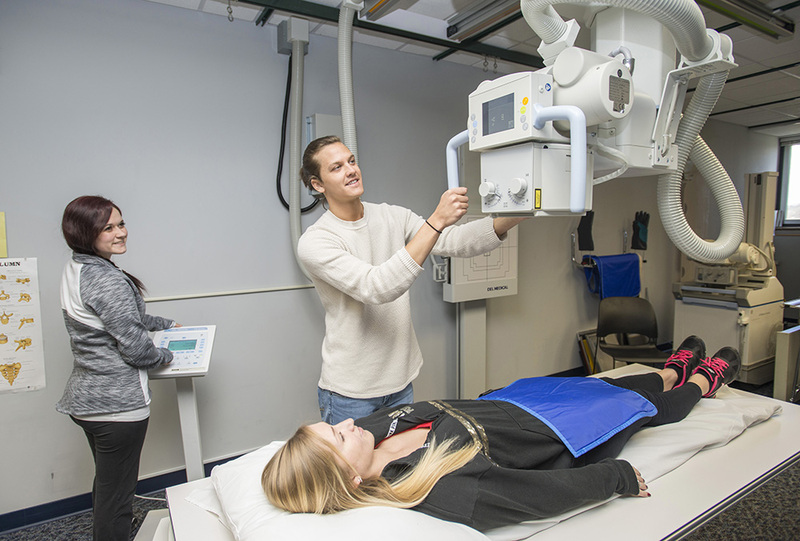 Admission to KCC’s Radiography Program is competitive, and just 20 students are admitted to the program during a limited open-application period each year. For more information about the program, including admissions requirements, course descriptions, answers to frequently asked questions, information about radiography careers and more, visit www.kellogg.edu/radiography. Additional information also is available by contacting KCC’s Selective Admissions office at seladm@kellogg.edu or 269-965-4153.